This website records my progress in building the Britannia 5" gauge model steam locomotive, from the kit supplied by Modelworks International. 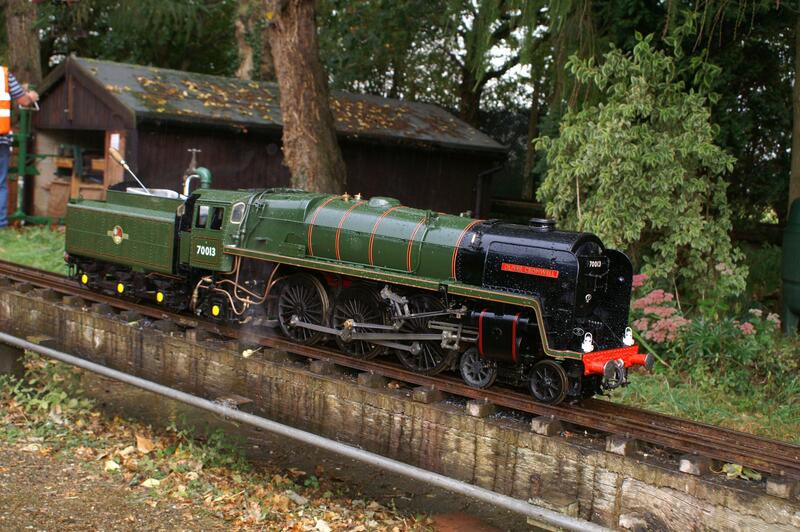 Sadly Modelworks was placed into administration on 30 May 2008, but I and most of the other Britannia builders were fortunate enough to have received almost all our parts before this happened. I've now also started building the Aster Gauge 1 Merchant Navy kit. Click here for the latest updates. 06/10/15 - Temporarily a 3-6-2! 23/10/14 - Slight setback - molten clutch! Notes on exhibitions, books etc.